Model Luma Grothe graces the February 2018 cover of ELLE Serbia. The Brazilian beauty turns up the heat in a fringe and lace embellished jumpsuit from The Dollhouse Fashion. 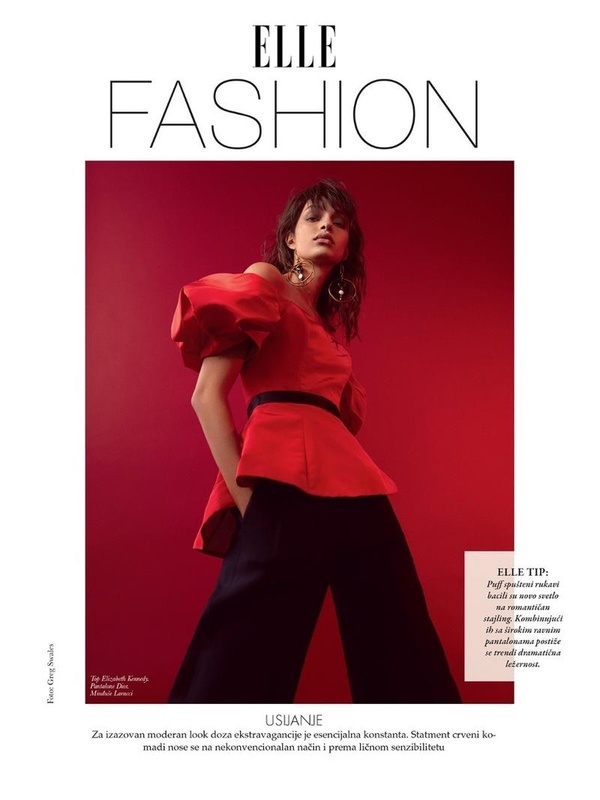 Photographed by Greg Swales, Luma poses in red style from head to toe in the accompanying spread. Stylist Arnold Milforddresses the L’Oreal Paris face in the designs of Dior, Zuhair Murad, Larucci and more.